Car shade sails are an incredibly affordable solution for car owners who cannot afford a more permanent structure, or for those who don’t have the room or are renting a house. If you’re wondering whether a car shade sail can offer all-round weather protection for a car, then the answer to this is both yes and no. Yes, if you choose a high-quality car shade sail such as those we offer here at Global Shade. And no, if you choose the cheap shade sail available at your nearest hardware retailer. As a car shade sail specialist, today I will tell you why they are an incredibly practical solution. Continue reading this post as I list 3 reasons why you should invest in car shade sails. Hopefully, after reading through this post, you’ll agree with me and consider investing in one. The biggest reason why our customers at Global Shade choose car shade sails over permanent structures is ease of installation. Permanent structures require a lot of planning and they take a lot of time to erect. However, with shade sails, you can get a custom solution erected in very little time. Shade sails can easily be attached to existing structures and landscapes around your home. Or, if there are no appropriate existing structures to attach to, shade sails can be easily erected with the help of poles. Our car shade sails also offer DIY installation. However, if you’re not handy with tools – you can always leave the installation to our experts. We’ll ensure that your car shade sail is installed according to your specific requirements. At Global Shade, we make use of heavy duty fabrics in the manufacturing of our car shade sails. This makes them far superior to those you’ll find at your local hardware retail store. They are incredibly durable and won’t sag or lose their shape over time. Moreover, you can also choose between normal shade sails for sun protection and waterproof shade sails for all-weather protection. Our shade sails block up to 99% of the sun’s UV rays and also offer protection against the rain and wind. By investing in one of our car shade sails, you can ensure all-weather protection for your vehicle. If you’re worried about the shade sails spoil the aesthetics of your home, think again! Here, at Global Shade, you can request a custom shade sail in the colour and shape of your desire and we will manufacture it for you. When it comes to finding a high-quality car shade sail at an affordable price, Global Shade has you completely covered. Unlike shade sails offered by other manufacturers, our shade sails can be custom built to fit any area. Furthermore, they offer unmatched UVR protection and will last much longer than standard shade sails. We make use of special coated fabrics in our shade sails, thanks to which they do not lose their colour or form even after years of usage. Car shade sails are an excellent alternative to erecting a permanent shade structure. They are affordable, they are easy to install, they offer all-weather protection and they are available in a range of colours and designs. No wonder they are such a popular product with many Aussies. For the best quality car shade sails at reasonable prices, look no further than us at Global Shade. 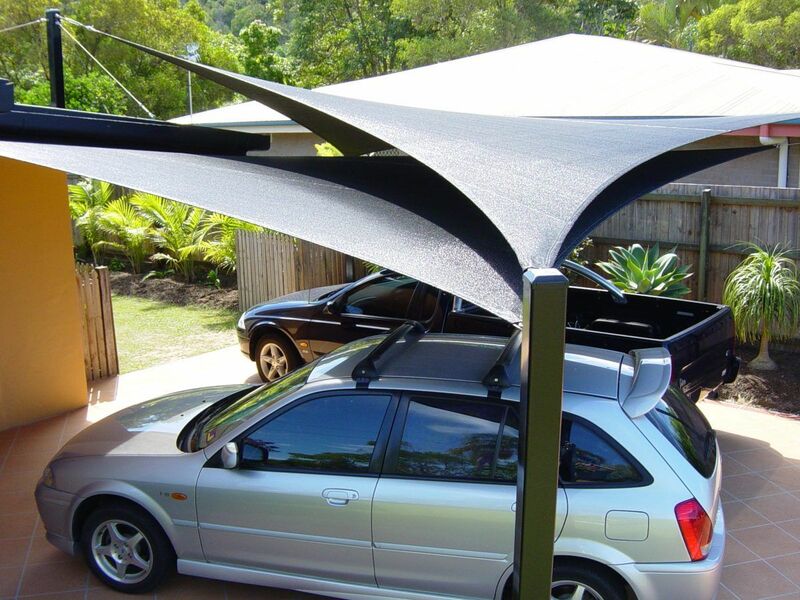 Drop us an email at info@globalshade.com.au to get a quote on our custom car shade sails today!